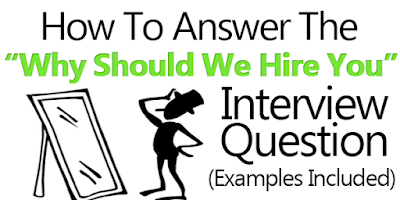 When an interviewer asks you, “Why should we hire you?” they are basically asking, “What makes you the best fit for this position?” As such your answer should sell your skills and show what you have to offer the company that others can’t. It is important to remember that companies hire people to help them solve problems and as such they will be looking to hire someone who can help them achieve their goals. All you need to do when answering this question is show them that you are that person they are looking for. 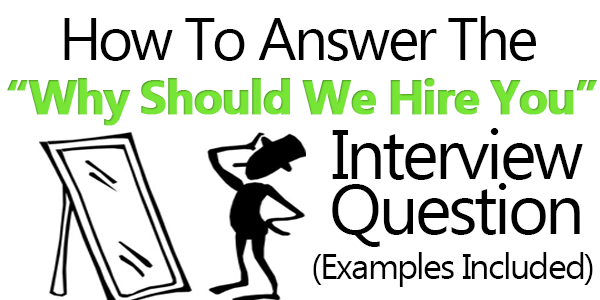 One of the most important things to do if you want to answer this question well is to go through the job description thoroughly. This will help you understand what the employer is looking for and as such will help you frame your answer to suit what they want. Basically, you want to show them that in hiring you they will get an enthusiastic employee who has the skill set for the position and that you’ll get to build your skills and grow your career. As much as companies want to know how you benefit them, showing you will benefit from the position will show that you are really interested in the position and not just the monetary aspect. A great way to show the recruiter that you are indeed the best choice for the position is to show them that you meet the requirements they had indicated in the job advert. Another important thing to remember when answering “why should we hire you?” is that your answer should be short and to the point. You cannot spend a lot of time answering this question because you will look like you don’t know what you are saying. “When I was looking through the job posting, I noticed that you were very particular about someone with great communication skills. While I may be new to the job market and this particular industry, I worked as a receptionist and customer service representative during my industrial attachment where I was able to successfully interact with customers and clients.